When a farmer on Exmoor found a frightened and badly injured red deer calf hanging by the leg from a barbed wire fence, he knew there was only one man he could call. Johnny Kingdom took Bambi home and became her surrogate mother, nursing her through the night after the dangerous operation to amputate her now infected limb. Against the odds, Bambi survived and, as she grew bigger, became a part of Johnny's family, taking over his garden and developing a taste for custard creams (and Johnny's wife's roses). But it wasn't just Johnny and his family who loved Bambi - friends, neighbours and even complete strangers would occasionally drop by with tasty treats they thought she might enjoy. 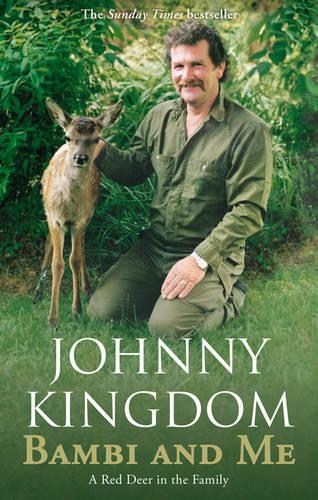 But the doe in his back garden was by no means Johnny's only contact with the red deer of Exmoor. Over the years he followed the wild herds over moor and farmland as the seasons changed, filming every detail of their lives and trying to understand what Bambi was missing out on. Millions of viewers fell in love with Bambi during Johnny's BBC television series and accompanying book, but now he tells her full story. Sometimes poignant and sometimes hilarious, this is both the tale of all of Exmoor's wild deer and the story of how one very special animal came to live a very different life.